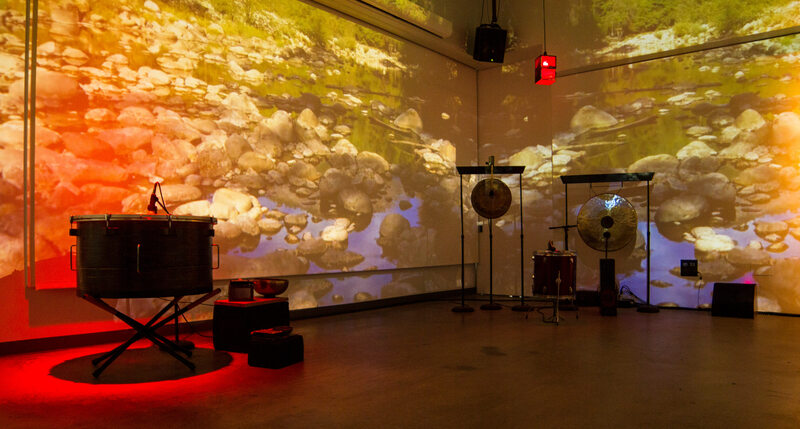 Orbits is a musical composition and multimedia installation. 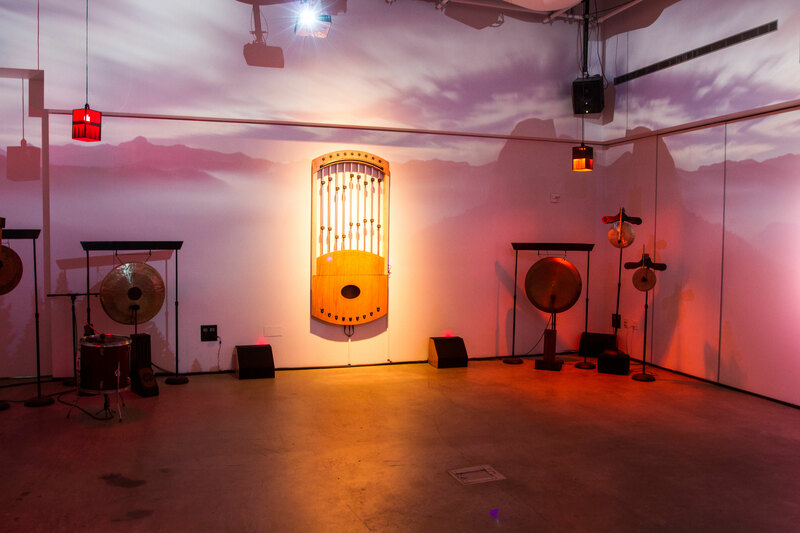 The composition is based on planetary motion within our solar system and features a set of hand-made autonomous instruments. 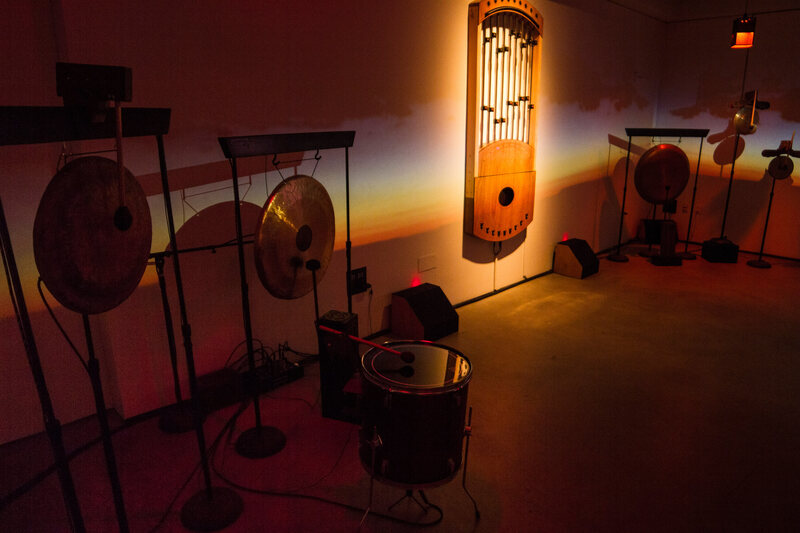 The piece centers around the Orrery Harp (an autonomous electroacoustic stringed instrument developed specifically for the Orbits composition). 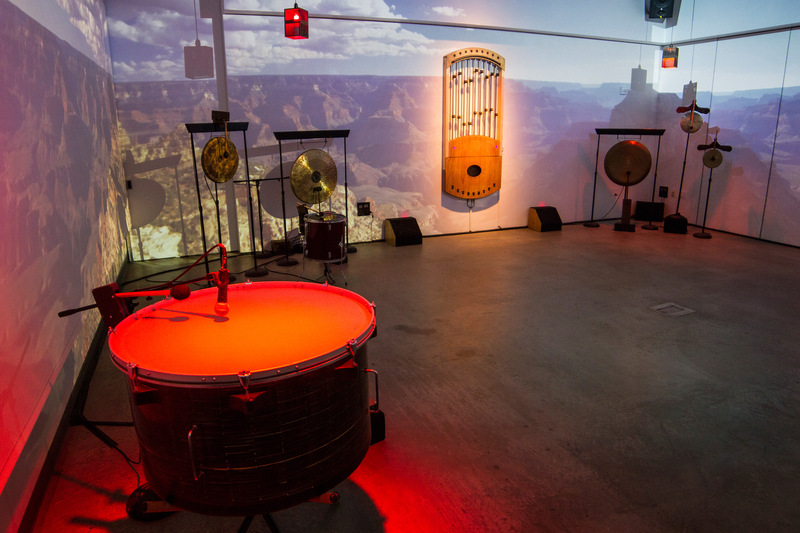 The rhythm of the piece is determined by each planet’s period of orbit around the sun. One earth day is scaled to one-tenth of a second, so that earth’s yearly cycle is accelerated to 36.524 second intervals. Each planet is scaled accordingly. 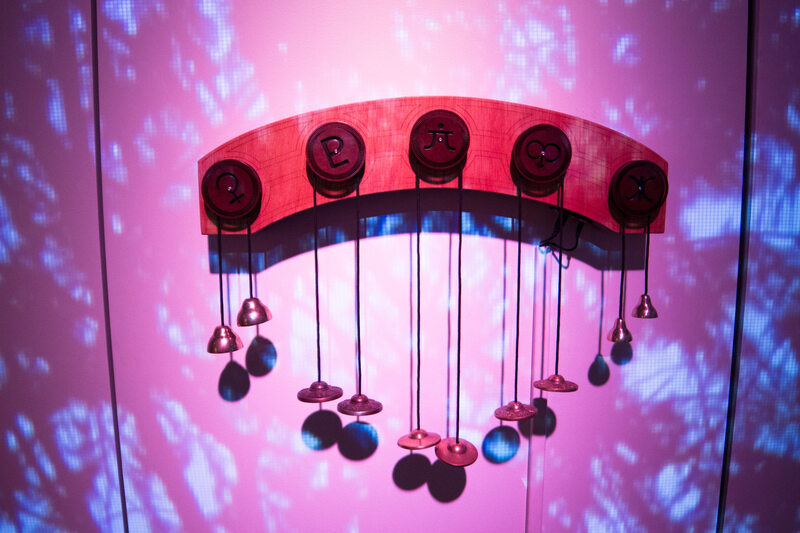 As a planet reaches it’s starting point (or year) it activates its corresponding instrument and dedicated string on the Orrery Harp. In addition to the eight planets in our solar system, five NASA officially recognized dwarf planets have been added into the composition and played through an array of tingshas and bells mounted to a servo motor controlled interface. 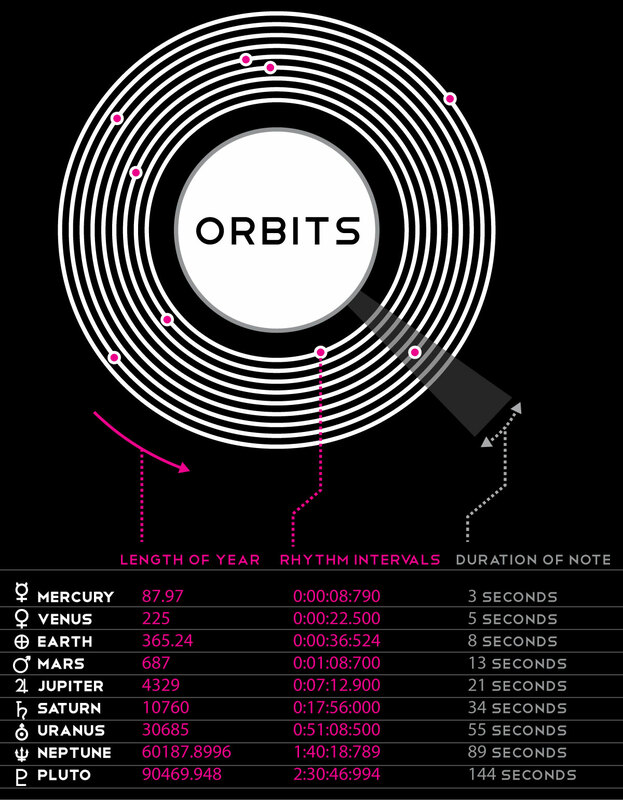 Eris (the furthest dwarf planet currently known in our solar system) is 68 AU from the sun and in the composition plays at 5 hour and 41 minute intervals. 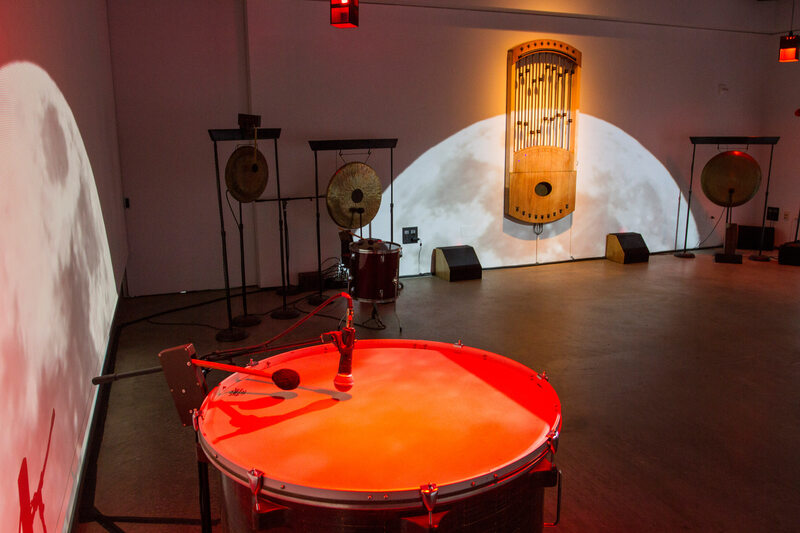 The composition begins with the mathematical alignment of all planetary bodies and plays continuously for the duration of the installation. If the piece were allowed to play without interruption, it would take over a quadrillion years (1,224,896,828,858,194.6 years) before the pattern would repeat itself. This is even longer than our universe has been in existence. 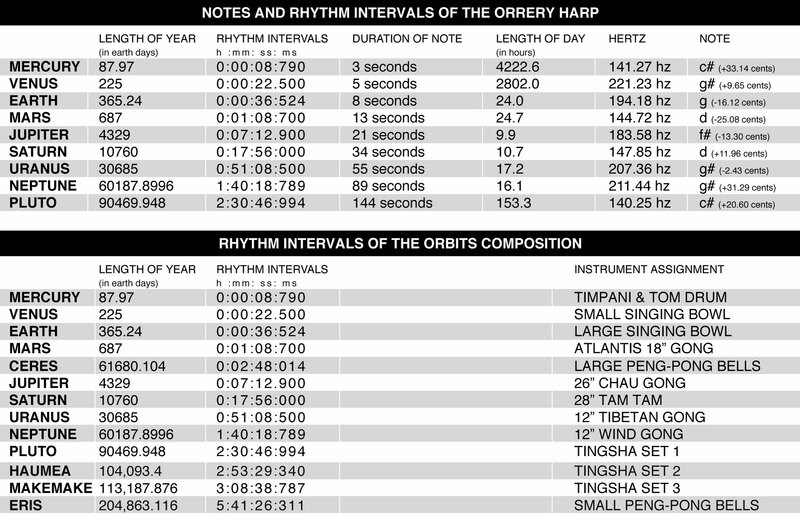 The score notated below represents 40 Earth years and just over 24 minutes of the composition.